If you are looking to expand your living space and create a wonderful space you can enjoy year round, consider adding a screened in porch. It’s more cost-effective than adding a new room and it allows for experiencing the sounds and breezes of the outdoors. At Armor Building Solutions, we are dedicated to making the outdoors as enjoyable as possible for our customers. This is why we offer quality screen options that can make installing your new screened space easy and stress-free. We can also screen-in an existing porch, so you can save even more money on your exterior remodel. From an outdoor dining area to a shady lounge, you can rely on our screening installers to create the custom space that accommodates the lifestyle of your dreams. We offer only the highest-quality products using materials from one of the best manufacturers in the country, Fenetex. You can rest assured that no matter what design or style you prefer, our designers and installers can create the design that fits your budget. Owning your very own screened-in patio can transform the way you approach and enjoy the outdoors. 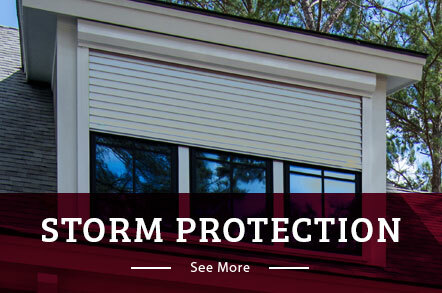 For screen porch installation that takes little time and allows you to make the most of the warm weather as soon as possible, look no further than Armor Building Solutions. Since 1996, we’ve helped homes of all shapes and sizes to enjoy the outdoors with no discomfort or inconvenience. Our team of fabricators, designers and installers will work personally with you until you are completely satisfied with your durable product. Located in Bluffton, we also serve Myrtle Beach, Charleston and the surrounding areas. Call us to learn more or fill out our online form to your free estimate today.